Here are the winners of our O+ USA #PairfectMeetandGreet with Yaya Dub Smartphone Giveaway. First of all, thank you for your support to our first ever smartphone giveaway courtesy of O+ USA. 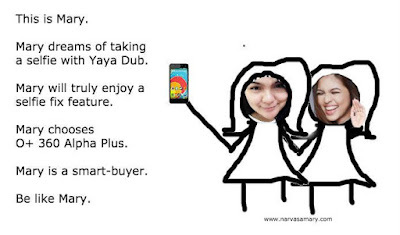 We had a great time reading all of your creative entries with this #PairfectMeetandGreet with Yaya Dub Smartphone Giveaway. Here are the four of the most creative posts that capture our attention with their wit, humor, simplicity and imagination. 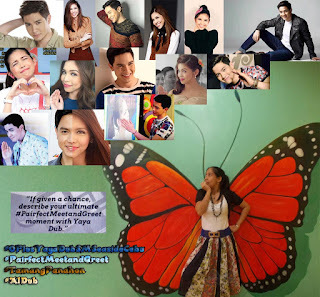 John Rhecel Solon – She did a beautiful AlDub picture collage in Facebook. In her ultimate meet-and-greet, she wanted Yaya Dub to teach her how to play drums. Cool isn't it? 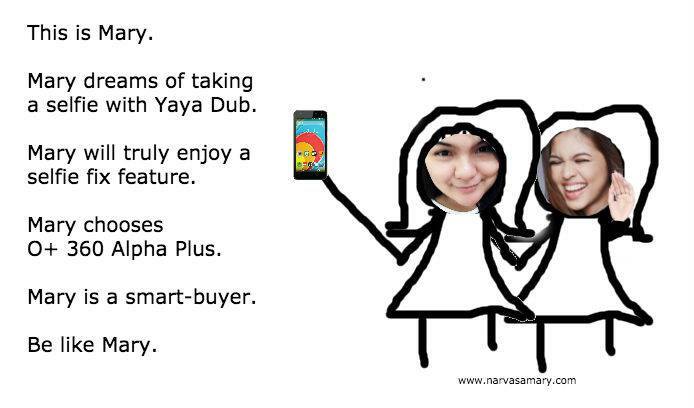 Kram Sesag Ajanet – This AlDub fan posted a hilarious Dubsmash video dubbing Lola Nidora calling out to Yaya Dub. PM Tan - PM is one of the fans who get to have a meet-and-greet session with Yaya Dub. She posted two photos of her with her ultimate idol, Maine Mendoza. She calls her the "role model of the new generation." Mary Narvasa – Mary posted a parody to the viral "Be Like Bill" in Facebook. She says if you’re selfie-smart, you should use an O+ 360 Alpha Plus with Selfie Fix. For that, she will receive the Alpha Plus smartphone! Congratulations to the winners! Until the next smartphone giveaway! We will contact you through Facebook tomorrow, February 2, on how to claim your prizes.